View from the roof of the Bundestag / Reichstag of a conference room at the top of the Jakob Kaiser Haus. 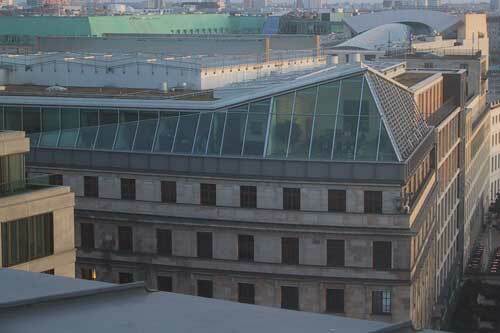 The metallic arched dome in the back is the top of Frank Gehry's DZ Bank building on Pariser Platz. Published on October 20, 2005 4:48 AM.